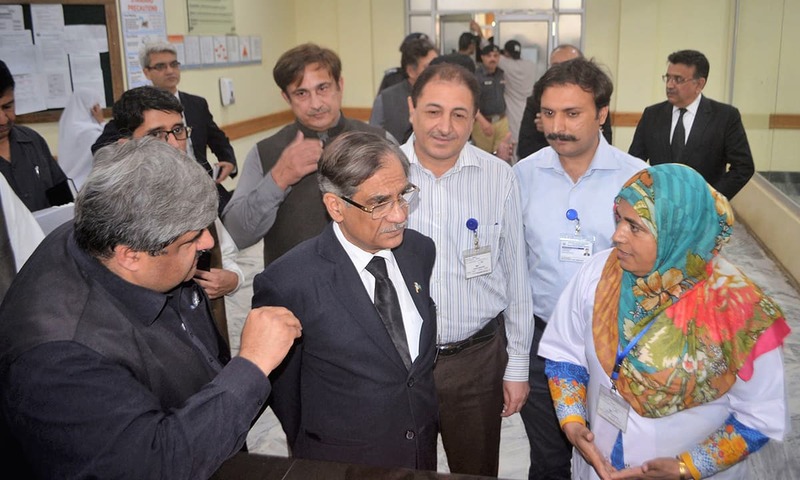 Honourable Chief Justice of Pakistan Mian Saqib Nisar was engaged in an animated and largely one-sided conversation at the Lahore Registry of the Supreme Court in April 2018. He had summoned his own son-in-law to the court and wanted him to apologise to the “Office of the Chief Justice”. The son-in-law hardly said anything. He mostly nodded politely. What occasioned the hearing, according to Justice Nisar himself, was an attempt by a litigant to seek judicial relief from him through his son-in-law. It is understandable, even proper, for a judge to be annoyed by such attempts. Many, therefore, viewed the incident as a conscientious chief justice holding his own family publicly accountable. To some, it still appeared to be too strenuous a step. They saw it as an example of the Chief Justice ‘trying too hard’ to address an institutional malaise through an individual act. The Chief Justice, however, did not recuse himself from the case in which the litigant was seeking relief through his son-in-law. He continued to hear it and also passed an order. This was one step further from former chief justice Iftikhar Muhammad Chaudhry’s proclamations on oath in a case involving his son. 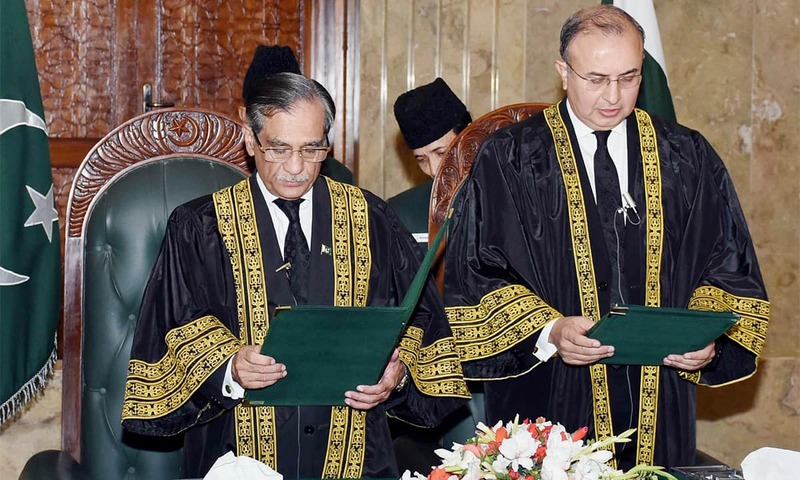 A step, or many, further from where Justice Chaudhary left the most exalted court in the country is an apt metaphor for Justice Nisar’s tenure as the Chief Justice of Pakistan — almost half of it falling in 2018. The fund that the Chief Justice has set up to collect donations for dams could be seen as another example of trying too hard. A judge with a limited tenure championing a project that will take years to initiate, let alone complete, sounds like a comment on how the quest for a legacy can make accomplished men let their fancy overwhelm them. On the flipside, it can be argued that his support for the dams has created awareness about the acute water shortage that Pakistan will be facing in the coming years and decades. He himself has clarified that much: that he wanted to highlight the severity of the problem and not work specifically for building a dam. Yet, it is difficult to find a strictly judicial justification for the creation of the dam fund. It is certainly a step – or many – too far within the vague and broad framework of Article 184 (3) of the Constitution that empowers the Supreme Court to act in matters of public importance involving fundamental rights. The provision will have to be interpreted very innovatively to categorise the building of dams as part of fundamental rights. The Chief Justice’s efforts are undoubtedly driven by the best of intentions but they seem to be uninformed by the unintended consequences of a judicial intervention in policy matters. The primary problem that arises when courts, particularly the Supreme Court, undertake policy decisions – such as the building of a dam – is that it leaves no room for disagreement and no recourse for a remedy. The collection of the dam fund from the government’s own employees has often been without their express consent but the question of consent does not even arise when the apex court tells someone to donate money to the fund to compensate for some wrongdoing. It does not leave space to move another institution to get the penalty revoked. Then there are a few other related questions. After a member of the Sindh Assembly was asked to deposit three million rupees in the dam fund for assaulting a citizen, the deposit did little to restore the dignity of the assaulted citizen. Similarly, when the Chief Justice asked a cement factory to deposit 100 million rupees in the dam fund in a case involving environmental damage at the historic temples of Katas Raj in Chakwal district, the donation did not address the problem of an ancient pond there having dried up. The cases in which a donation to the dam fund has been mentioned by the Chief Justice are too many to list here. Many lawyers and litigants seeking long adjournments have been granted their requests in return for donations. 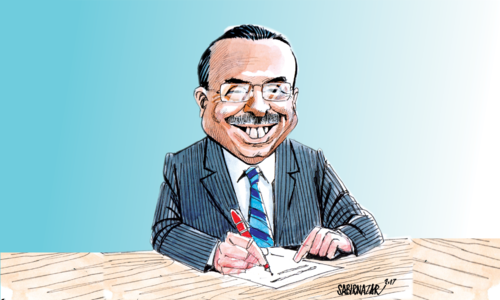 To cite a couple of other examples, Bahria Town’s Malik Riaz has been told twice to deposit tens of billions of rupees to the fund; the Khokhar brothers, who are legislators from Pakistan Muslim League-Nawaz (PMLN) and are accused of land grabbing in Lahore, were also told to deposit 100 million in the dam fund. Critics may argue that many of these instances are difficult to justify in strictly legalistic terms especially when these are seen in the context of constitutional separation of powers between the judiciary, the executive and the legislature. The fund raising dinners in the United Kingdom, where Justice Nisar was flanked by close associates of Prime Minister Imran Khan, and his call to a live programme on a news channel to express his views on the water crisis and to congratulate the channel on its coverage of the issue have no precedent in Pakistan — or, for that matter, in many other countries. If the purpose was to draw attention to water scarcity, well, the attention has been drawn successfully. We, however, can have different opinions on whether it was the best way to do so. An odd question perhaps — given that Hamza Shahbaz comes from one of the most well-known families of Lahore where Justice Nisar was born and brought up. His father, Mian Nisar, was a successful and feisty lawyer from the old Walled City of Lahore. Not far from that, Hamza Shahbaz’s grandparents lived in Gwalmandi area till the late 1960s as a highly successful business family. It is also difficult to have lived and worked in Lahore from the early 1980s onwards and not known Hamza Shahbaz, whose uncle, former prime minister Nawaz Sharif, and father, former Punjab chief minister Shehbaz Sharif, have been pre-eminent in the city’s – as well as the country’s – politics since then. Hamza Shahbaz himself, a three-time member of the National Assembly, also from Lahore, was famously allowed to stay back in Pakistan when his uncle and father were exiled in 2000 along with a large number of their family members. He also faced a well-publicised case over an alleged secret marriage with one Ayesha Ahad Malik — a controversy that has often been in the news since 2010. Justice Nisar would eventually settle the case in June 2018 through a closed-door arbitration in his own chamber. It was also Nawaz Sharif who appointed Justice Nisar as the federal secretary for law and parliamentary affairs in 1997. He was subsequently made a judge of the Lahore High Court — also by Nawaz Sharif. Justice Nisar’s stint as a high court judge was rather uneventful except that he was considered a very competent judge in civil matters. In 2010, he could have become the Chief Justice of the Lahore High Court by virtue of his seniority but was, instead, appointed as a judge of the Supreme Court. Justice Nisar started his tenure as the Chief Justice of Pakistan in a measured, circumspect manner. Somewhere along the way, however, he assumed a far more assertive posture. We can only speculate on the reasons for the change but it took place, in any event, soon after the legal battles surrounding the leaked Panama Papers related to properties owned by Nawaz Sharif’s children in London. As Chief Justice, Justice Nisar had the prerogative to constitute Supreme Court benches, he chose to stay away from the Panama Papers case against Nawaz Sharif. The case could – as it eventually did – divide public opinion and generate public outrage no matter which way it was decided. Given the media spotlight that the Panama Papers case attracted and the national conversation it engendered, Justice Khosa (and others on the bench hearing the case along with him) were in the headlines on a daily basis. If there was one Supreme Court judge who reigned supreme in public imagination throughout 2017, it was Justice Khosa. It was possibly the last time Justice Nisar displayed such reticence. The Chief Justice is not the first judge in Pakistan to seek a legacy of judicial activism. There have been others before him, including former chief justice Iftikhar Muhammad Chaudhry. Steps taken by Justice Nisar in this regard, however, go further than in any previous instance. This could be because he has found an enabling environment not available to his predecessors. The space for civil society is shrinking, the credibility of political parties and processes is at an all-time low and the news media is fighting, often silently, to live another day. One distinct casualty of the ongoing assault on the political class and freedom of expression is clear speech (for example, the euphemism ‘establishment’ now has a euphemism of its own: khalai makhlooq). Also, unlike during Justice Chaudhry’s tenure, Justice Nisar is operating at a time when the legal community is often divided and leaderless. Lawyers are so engrossed in their internal battles that they are unable to hold the bench – and also the government and the state – to account as they successfully did between 2007 and 2013. The most prominent among them remain silent because everybody else has been silent. It is easier to be vocal and truthful once someone (in our context, someone with authority and credibility) has spoken out first. Both as a cause and effect of what is happening in the society at large in terms of fundamental freedoms, a closer alignment between the apex court and the ‘national security’ narrative has been evolving at least since 2009. It has only deepened in recent years. To be fair to the Chief Justice, however, the views enunciated by him on issues of national security and strategic affairs are not peculiar to him. These, indeed, are espoused by a large section of the society – particularly the urban-based professional middle class – and, therefore, cannot be seen resulting solely from an alleged nexus between the judiciary and the establishment. In a striking way, his enthusiasm to put things right by cutting through bureaucratic red tape and administrative and legal niceties makes Justice Nisar a fitting Chief Justice for today’s Pakistan. As middle-class anger and fury over bad governance have brimmed over, particularly against the traditional political elite that is seen as corrupt as a whole, the yearning for a doer and a deliverer has intensified. It is ironic, though, that sometimes the targets of his ire – doctors, professors, civil servants – come from the same middle class that he so aggressively represents. The Chief Justice has, on many occasions, dismissed legal and intellectual arguments as “pretentious”. He, instead, says a judge should be like Baba Rehmta, a village elder dispensing wisdom and justice in an impromptu, informal manner and commanding respect and obedience by virtue of his old age and experience. This analogy suggests, albeit indirectly, that the decolonisation of our legal system has been long overdue.It hints at the importance to make our laws and judicial processes intelligible and relatable to the people. Yet, coming from someone who has lived all his life in big cities and worked with institutions of the state and government that operate under laid down rules and regulations, it sounds like the romanticisation of a phenomenon outside his own lived experience. Justice Nisar first referred to Baba Rehmta while addressing lawyers in Lahore in December 2017. He later explained that the term was inspired by the writings of playwright, short story writer and right wing public intellectual Ashfaq Ahmad whose literature is heavily populated with babas, old men who achieve self-actualisation by devoting themselves wholeheartedly to the mystic and the divine. Abnegating reason and logic remains the primary characteristic of the lives of these babas. Justice Nisar also sparked controversy due to some of his public addresses. In a speech in Quetta, he said, “Sir Syed Ahmad Khan was probably the first thinker who conceived the two-nation theory, that there were two nations; one was Muslims and the other — well, I don’t even want to utter the word.” His unwillingness to name Hindus as the ‘other’ was criticised as being insensitive to Pakistan’s minorities as was his remark on December 25, 2018 against marking the day as a holiday. Justice Nisar’s remarks on the two-nation theory and December 25 may appear egregious to his critics but these are not unusual in today’s Pakistan. He can also be given the benefit of the doubt on his speech-skirt remark. He, after all, did not author it. Its original author was Winston Churchill though, of course, much has changed since the days of Churchill. What makes these statements highly significant is the fact that these have come from a person who is supposed to be among the wisest people in the realm. What makes these worrisome is that these concern the powerless and the marginalised among us. When it comes to criticising his own ilk, however, Justice Nisar has been even less guarded. In June 2018, he entered a courtroom in Larkana along with television cameras and started censuring a district and sessions judge sitting there. He then saw a mobile phone lying on the judge’s desk. He picked it up, waved it and threw it back on the table. This was clearly an attempt to address public complaints about the lower judiciary where work ethics leave a lot to be desired though many jurists may not agree with the method applied. To be fair, Justice Nisar has displayed restraint on certain occasions. He, for instance, practised a high degree of self-control – and rightly so, in my opinion – after Khadim Hussain Rizvi, a religious demagogue out to incite disorder and violence on the issue of blasphemy, spoke ill of him towards the end of last year. He also did not respond directly even when a highly reprehensible and provocative fatwa was issued by a cleric that the two Supreme Court judges, including Justice Nisar, who had acquitted Aasia Bibi, a Christian woman facing blasphemy charges, were liable to be killed. The Chief Justice did not have to preside over the bench that acquitted Aasia Bibi. He could have simply kicked the can down the road and assigned any other bench to hear the case. Or he could have waited till January 18, 2019 – his retirement date – and let someone else deal with it. He did not. To take away credit for this would be petty and unfair. On the other hand, his spontaneous remarks during case hearings sometimes appear to be outside traditional judicial limits. In some cases, they have also served to either overcomplicate or oversimplify the matter at hand. The absence of a strict and narrow adherence to judicial precedents also marks some very important, and correct, decisions that he has made. He has similarly often set aside the constitutional principle that courts should not intervene in policy and executive matters (even when his rulings have been informed by the need to ensure public good). These omissions make it unlikely that his judgments will outlive his tenure. Justice Nisar’s threat to use Article 6 of the Constitution (that deals with high treason) against the critics of the dam fund exhibits a puzzling attitude towards both due process and the traditional norms of judicial speech. Moreover, since the article is intended to punish those who subvert the Constitution, partially or fully, the judiciary’s failure to try any of the military dictators under it makes the threat appear a bit of an overstretch. Also given that a case against a military dictator, Pervez Musharraf, under the same article is still pending – and has been so for years – at a high judicial forum in the country (though, admittedly, not due to any fault of Justice Nisar) makes it appear even more so. To quibble about constitutional limits, however, is to hammer on an open door. Justice Nisar rarely elaborates the reasons for stretching these limits in his verdicts. His supporters may argue that the grave challenges facing Pakistan demanded a people’s judiciary that ensures social justice even when it has to stretch judicial and constitutional boundaries a bit to do so. Their argument often regresses to the basics: since the government is not doing its job so someone must do it and why cannot that someone be the Chief Justice of Pakistan. There are, however, a couple of ways to look at this argument. One is to consider the number of cases pending before the Supreme Court of Pakistan. The latest figure shows that this number increased from 38,129 in 2017 to 40,254 in 2018. The number of cases pending at all the various tiers of the judiciary easily runs into millions. This certainly does not mean that bureaucrats and parliamentarians should start adjudicating because judges are not doing it well enough. The second way pertains to developing judicial clarity in the remit of Article 184 (3) of the Constitution that grants the Supreme Court the power to issue directives to the executive and the legislature regarding the protection and promotion of fundamental rights. It also includes the power to take suo motu notices in matters involving these rights. It is the confusion and ambiguity around the limits of this constitutional provision that allow its use indiscriminately. This can be avoided by clearly defining what constitutes fundamental rights and what does not. In the Universal Declaration on Human Rights as well as many other international covenants and agreements, these rights have been explained in very clear terms. The explanations can be used as benchmarks to overcome confusion about them while applying Article 184 (3). Once that is done, the only argument in favour of a judiciary interfering in the executive’s domain will be the same tiring one which is better left unanswered because it is so simplistic. Critics also argue that the Supreme Court, during the present Chief Justice’s tenure, has passed seemingly different orders on seemingly similar facts in some cases. Take, for instance, his judgments on the regularisation of Prime Minister Imran Khan’s Bani Gala residence and the dismissal of a case for the disqualification of Zulfi Bukhari as special assistant to the prime minister for being a dual national. Both arguably are not in consonance with the Supreme Court’s contemporaneous verdicts on the need to retrieve state lands from encroachers and directives to government employees to forego their dual nationality if they want to remain in the service of the state. Supporters of Justice Nisar argue that these apparently dissonant judgments are, in fact, rendered on different facts and circumstances. More fundamentally, they contend that intentions sometimes matter more than actions themselves. In other words, everything the Chief Justice is doing is being done in good faith so it does not matter if his rulings sometimes are not so consistent. It is upon this logic that Justice Nisar’s tenure, particularly its 2018 part, is built. There are two other factors that complement it: a long-held popular narrative that well-meaning individuals are always capable of getting things done more quickly than institutionalised frameworks allow; and an equally entrenched perception that a few active and efficient men at the top of the system can make everyone under them deliver regardless of how broken the system itself may be. While our history is full of instances which can be cited to disprove both these contentions, it suffices to say that individual actions and initiatives last as long as the individuals themselves are at the helm. Justice Nisar’s legacy, therefore, may start unravelling on the first day after his retirement. Justice Khosa, his successor to be the Chief Justice, appears unlikely to continue promoting the dam fund or inspecting hospitals and schools. History may, or may not, judge Justice Nisar kindly. It is inarguable, however, that 2018 was all about him. Click here to know how the Herald chose its 'Person of the Year 2018'. The writer is a lawyer and columnist. Justice sahib is a true son of Pakistan. One of the very few good people Pakistan has produced over the last 70 odd years. I wish him all the best for him and his family. I only wish we had more people like you! During the first 5 months of his tenure, he was OK but I do not know what happened after that he became a judicial activist! He did what he could, in the time that he had. He never used any crutches, but just got straight to the point. 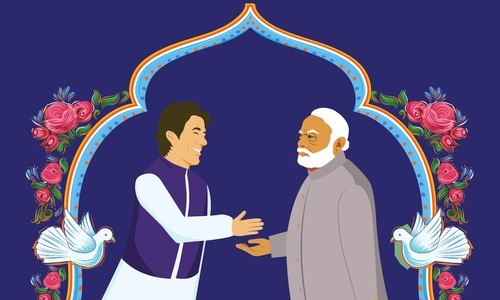 Things did get done, and as the nation emerges from a period of gloom and despair, he will be remembered as one who touched the hearts of many, and got people to loosen their purse strings and contribute to nation building. A true jurist, with sterling qualities of the heart and soul. 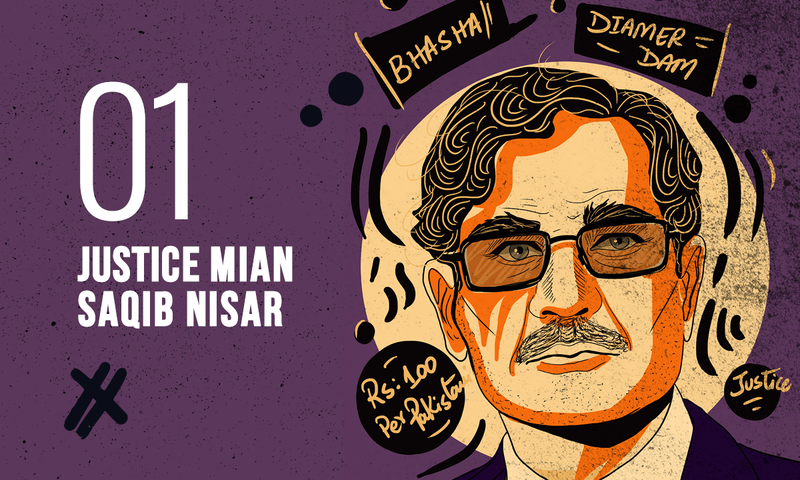 Our very own, Mian Saqib Nisar! Is this judging too much????? Pointing out necessity of water for 220 million common Pakistani, is too much? All Govt. central and provincial were sleeping since 45 years. Initiating requirement of Dam for power and water reservoir is too much? Pointing out disastrous condition of hospitals all over Pakistan is too much? Pointing out encroachment all over cities and town, all over country is too much? Pointing of illegal earning of Billions of Rupees, and $ is too much? His all actions were correct and for the people of Pakistan. This is an ungrateful nation. There was no need for the CJ to do all this had our mentally bankrupt politicians done their duty. A man, a patriotic Pakistani, did all he could, but let down by IK, and all other incompetent. For most people outside Pakistan, the CJP is one of the three rulers of Pakistan. In my opinion the most controversial man in the history of Pakistani judiciary. This man has many faces. I have no respect for him!!! i do not doubt the good faith of chief justice. yes, he succeeded in some issues and failed in some. still he tried his level best. Now, we say him good bye and want some interesting decisions to be taken by next chief justice khosa. Most controversial Chief Justice in history of Pakistan. Best thing about DAWN is its balanced and creative way to articulate opinions. What I love when you start reading it, you can't be distracted until you have thorough read. A very one-sided article. Dragged on on the same theme. For me it’s enough he has put one of the two most corrupt honchos behind bars, with the other soon to follow. We had similar types in India too. Ex cji thakur, lodha, chameleoneshwar, gogoi, Joseph and one more more kerala who's I dont remember. At least there is no collegium gang system. Where crooks appoint crooks. Public office must never be used for leaving a legacy, however good the intention may be.Quest for fame introduces distortion in the system.That is why in advanced society, Institutions are accorded importance ,not the individuals. Thanks Justice Saqib Nisar, he was the true son of Pakistan and take good decision about the water crisis. Fund raising is the initiative of construction of Diamir and Mahmand dam.